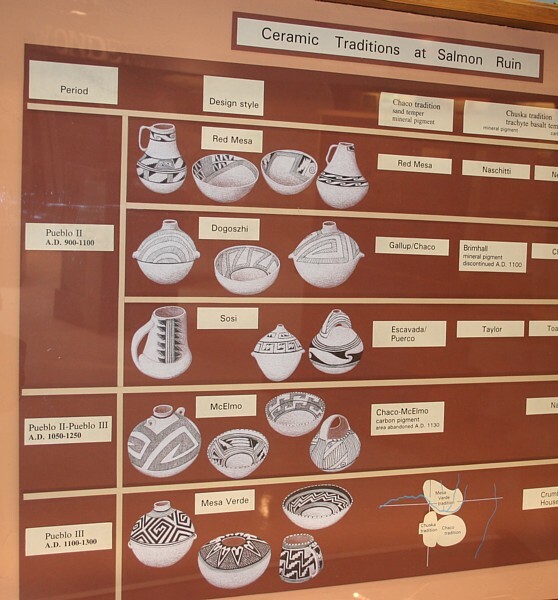 Salmon Ruins Museum and Research Library, in Bloomfield, New Mexico, is operated by the San Juan County Museum Association. 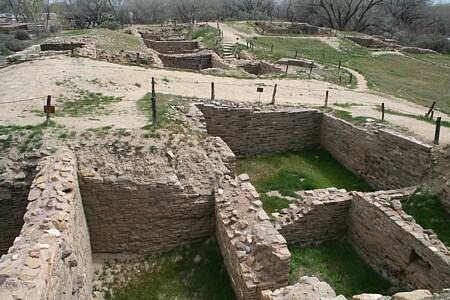 Bloomfield and Salmon Ruin are located twelve miles east of Farmington and south of Aztec. 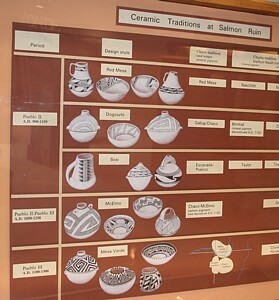 The museum offers presentations about research at Salmon, and other regional archaeology topics. 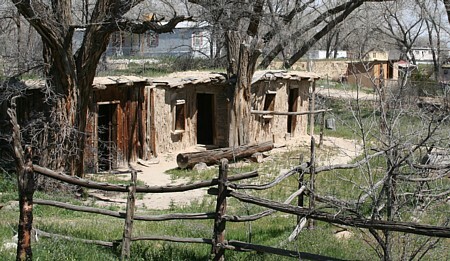 The ruins are located in Heritage Park, where pioneer buildings, reconstructions of other prehistoric shelters, and the surrounding contemporary mobile home housing contrast sharply with ancient masonry. The Great Kiva was constructed in the main plaza of the E-shaped pueblo. Beginning about AD 1088-1090, people materially related to Chaco Canyon built one of the oldest and largest outlying Chacoan Great Houses near the San Juan river. 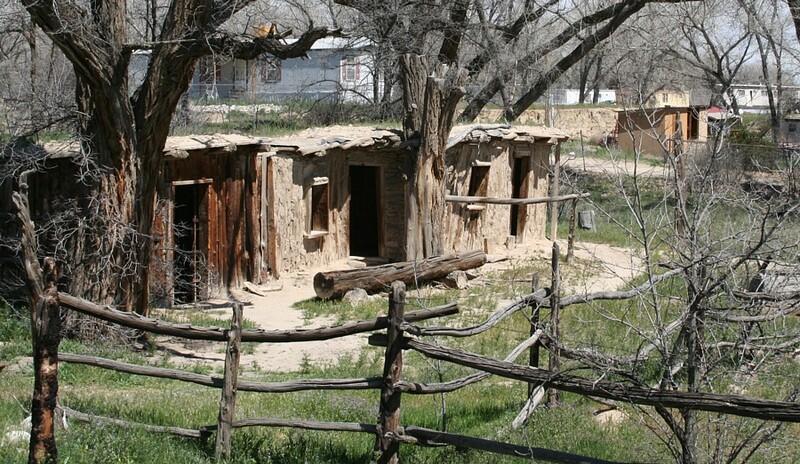 After a generation, the pueblo was abandoned, then later reoccupied by people materialy related to Mesa Verde. An elevated kiva is enclosed by the room block, due north of the Great Kiva. 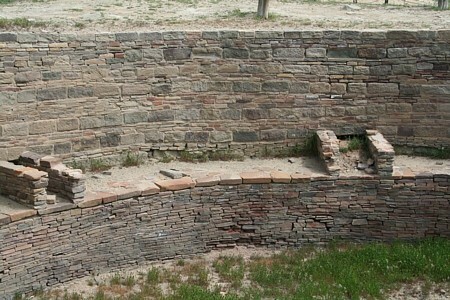 The kiva wall has Type III masonry, thicker rows of sandstone blocks interspersed with rows of thinner sandstone, and, below the bench line, thin stone, all evidencing special care in its construction. Above. 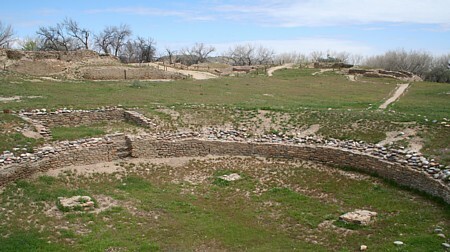 View of rooms adjacent to and east of the elevated kiva. 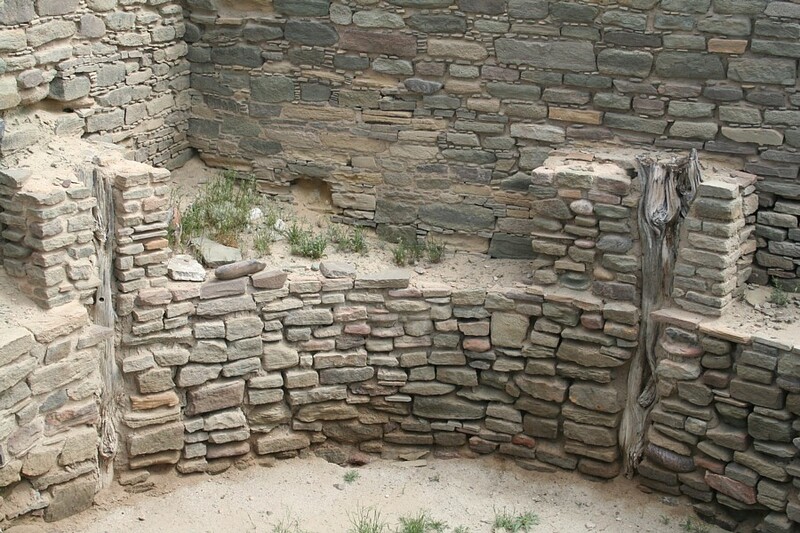 Below, one of the kivas in the east wing. 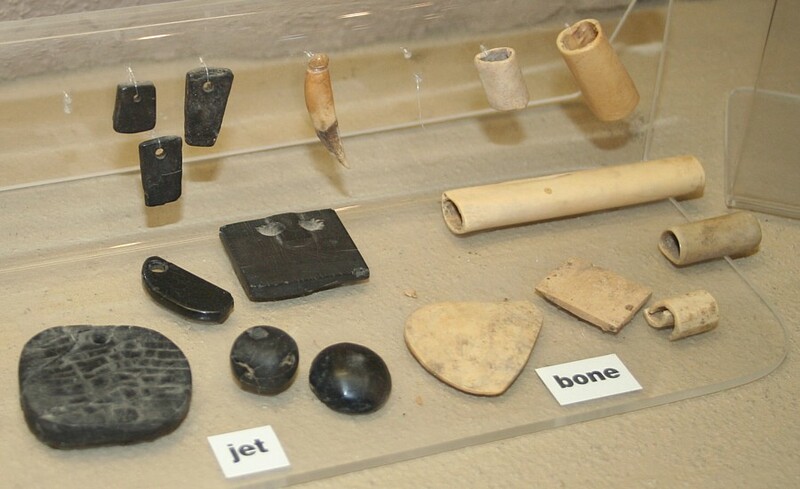 The museum incorporates in the site interpretations artifacts from the Salmon Ruin excavations. 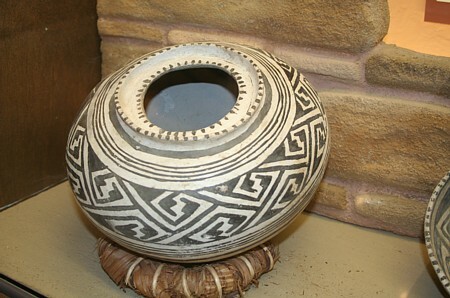 According to Anna Sofaer, five great houses, Chetro Ketl, Kin Kletso, Pueblo del Arroyo, Pueblo Pintado, and Salmon Ruin, "are associated with the lunar minor standstill azimuth." 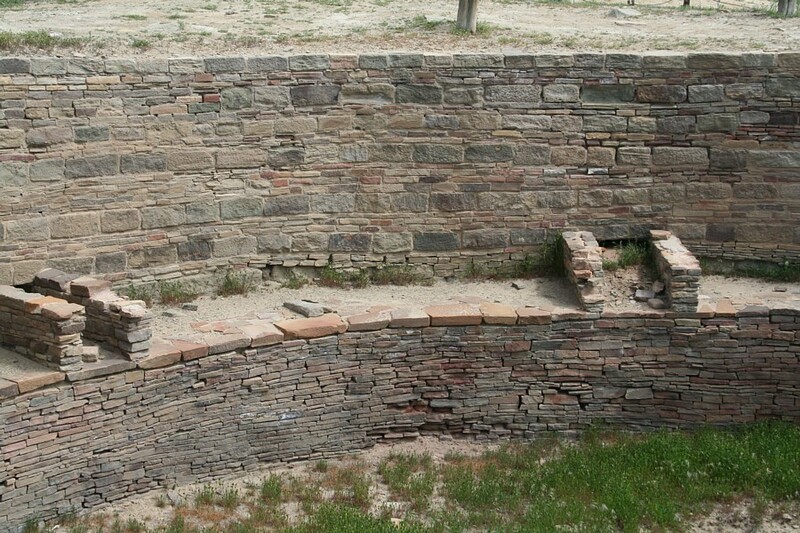 Sofaer lists the angle of Salmon Ruin's 130 m long north wall as 65.8° E. of N. The level-elevation lunar minor angle was 67.8° at Salmon Pueblo in 1200 AD. Here follow several of my GPS coordinate determinations. Anna Sofaer 1997. The Primary Architecture of the Chacoan Culture: A Cosmological Expression, Anasazi Architecture and American Design , edited by Baker H. Morrow and V. B. 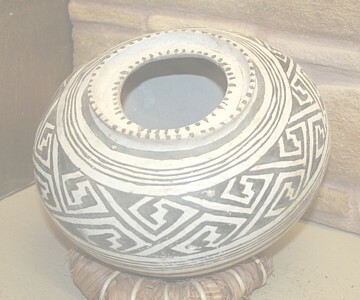 Price, Albuquerque, NM: University of New Mexico Press. The Official Website! Salmon Ruins Museum and Research Library.